What is Hypermiling techniques? Imagine if you could drive down hill all the time and never have to hit the brakes. How much would this improve your gas mileage? The father of these techniques is one Mr Wayne Gerdes from Illinois who achieved 59 mpg from a regular unmodified Honda Accord rated at 25. This Diy mpg term is defined as a method of driving that squeezes the most miles per gallon and maximum fuel economy from any vehicle. The goal is for drivers to meet or exceed the mileage ratings of their automobile without breaking the law or endangering themselves or other drivers on the road. If the driver happens to own a hybrid car then the challenge is to exceed the highest EPA ratings for that vehicle with smart driving tactics. Either way it is a game that you can win by saving at the pump. Before you can improve gas mileage you have to know what your current miles per gallon are and should be. On new cars you can find the information on the window sticker. Still, you need to test the actual mileage both in the city and on the highway for reference. When getting your Diy mpg base line measurement of fuel economy it is best to use the same gas station and fuel pump if possible. The first step is to fill your gas tank, write down the odometer mileage reading and clear your trip odometer. Note: Only pump until the nozzle turns of automatically and do not attempt to top off or round up the numbers. The next step is to drive the way you normally would for a few days and then refill the tank as stated above and record the exact amount of gallons installed. Then write the mileage down above the originally recorded one and subtract it. This will give you the miles traveled and you can check this against your trip odometer. The final step is to divide the number of miles you went by the number of gallons you just filled up with. This will give you a very accurate mpg figure. Basically the formula is number of miles driven divided by the number of gallons at second fill up. I purchased the ScanGaugeE MPG trip calculator pictured above that plugs into your vehicles diagnostic connector and provides both instant or average fuel economy helping track costs on a per week or month basis. The ScanGaugeE monitors and helps you control driving habits with positive reinforcement. Think Smooth acceleration and deceleration. It calculates efficiency over these parameters providing users with feedback that helps them increase fuel efficiency. This motivates me to be light on the gas and shows me when hypermiling efforts are most effective. For the best results you need to have the car serviced and the motor tuned to achieve the best results. A car that is struggling to perform due to engine problems or a clogged air filter is not likely to get good gas mileage no matter how carefully you drive. In the same respect we all know how important tire pressure is in achieving maximum MPG. Any motivated driver can learn basic hypermiling techniques. Even learning a few simple things can improve the mileage for almost any car or truck. Beginners to hypermiling can start by not being too heavy footed on the accelerator. Do your best to avoid racing up to the stoplight and let the car glide to a stop gradually. It takes less power to stop from lower speeds than to suddenly hit the brakes, plus this means less wear on your suspension and tires. Use the cruise control, even in town. This isn’t just for highway driving, it’s also the way to drive a consistent speed and avoid traffic tickets. If you have enough distance, you can take off the cruise control and let the car decelerate toward the stoplight. Aggressive drivers apply their brakes three to four times more frequently than calm drivers. When traffic flow slows, hypermilers drop down to the lower speed knowing that moving consistently even though it’s slower is really the fastest and most fuel efficient way to move thought the traffic jam and get to work without a stress headache. The best hypermilers are attentive to their driving. They’re thinking of ways to drive that makes the most of every gallon of gas. Whether their motivation is because of sticker shock at the pump or to take on an epic challenge the reward is worth the effort. We all win when each person does something to conserve energy of any kind. Yes gas prices are a roller coaster ride so learn some techniques to smooth out the peaks or spike in prices. I am new to hypermiling techniques and this is just one method I am using to improve my fuel economy and reduce my monthly gas bills. I also tested the water2gas system and a fuel heater. These cutting edge tactics have already made a great improvement on my gas guzzling 4.3 liter Chevrolet v6. A product I am affiliated with and that supplies a lot of this information in one place including the water2gas books and 105 fuel economy resource videos not found on YouTube is the hybrid man . It is like a science experiment for driveway mechanics. Give this DIY mpg and fuel economy resource page a share. See Mark Gittelman’s Awards & ASE Certifications on Google+. Learn more about squeezing more miles per gallon from your car on my fuel economy tips page. This next link takes you there from this page about hypermiling techniques. Looking for more information about tuning your vehicle for optimal performance and gas mileage. 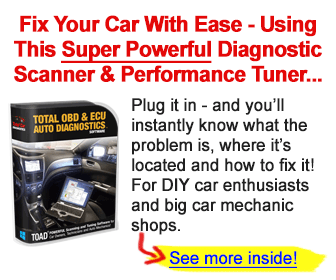 See a video I put together about the online auto repair manuals that can get you there. Learn more about the Master Car Mechanic that built this website and this hypermiling techniques page. The next link takes you to the about us page and more answers to car questions. Search this site and the net for automotive information with custom search.